astrologycollege.com’s courses are based on modern astrology and its roots in the western tradition. There are many branches of astrology arising out of different ancient cultures such as Chinese Astrology, Jyotish/Vedic Astrology and Mayan Astrology – astrologycollege.com does not teach these. Apart from the Taster Course, which is a brief stand-alone introduction to astrology, all our courses are modular. There are three modules in the Foundation Course which introduce you to interpreting a birth chart, calculating a birth chart, ethics, and astrology’s astronomical background. There are five modules in the Diploma Course which cover interpretation techniques in more depth for use in client work, forecasting techniques, useful astronomy to know and understand, history, and political and global astrology. to deliver excellent course content together with a student support system; to inspire you to become the astrologers of the future, secure in the knowledge that you have received the backing of a course which is not only well structured and realistic, but is also first class in terms of the information it aims to deliver; to interpret birth charts with confidence and work safely with clients; offer professional training. You can study our astrology courses at home in your own time. A major advantage of distance learning is that you can take the time to go through the lessons and exercises thoroughly. The course material is comprehensive, although buying some essential books and reference materials is necessary. You may, of course, wish to buy additional books to supplement your studies and reading is very much encouraged. You can write or type your exercises, send them by post to your tutor or, in most cases, send them by email. For a few of the exercises it can help to have a scanner and the facility to convert files into pdf (now on most modern computers); but these are not essential as you can always photocopy exercises that involve diagrams and send them in the post. “I am really enjoying this course, nice big print, easily readable, and leading intelligently from one difficult subject to another, easing us into acquaintance with the complexities of this subject. I am also grateful that one course, yours, does still operate using paper alone for people without computers. My tutor’s prompt replies are really encouraging, pulling me up on any missed aspects with a friendly note. There seems to be lots of time to relax into it and try to get things right. Just a few months into the Foundation Course, I am already discovering fascinating and useful insights into my own chart and life. I never realised astrology would pull like this; that it would be so rewarding. I feel I am in good hands.” Anne, Scotland. 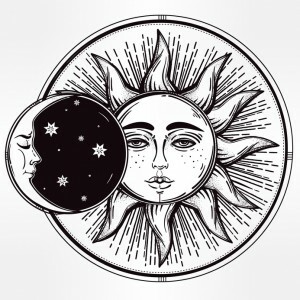 astrologycollege.com provides a one-to-one teaching service. All of the exercises in the Taster Course and the Diploma Course are marked by your tutor; and most of the exercises in the Foundation Course are marked by your tutor. There are a few self-assessed exercises in the Foundation Course. Guidance Notes are sent upon completion of the self-assessed exercises and tutor-assessed ones where relevant. You may contact your tutor at any time via email or post if you have any queries about the course material or if you are having problems with the exercises, whether self-assessed or tutor-assessed. 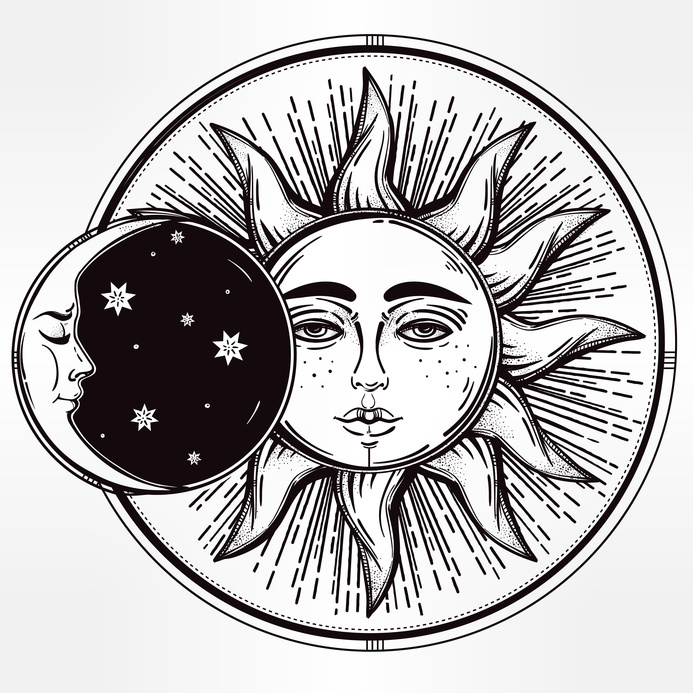 Your tutor is there to help guide you through the courses and to assist you in achieving your aims, whether you are learning astrology for personal development or whether you want to train to work professionally with clients. Picture on page: Sun and Moon diagram (from Folotia).